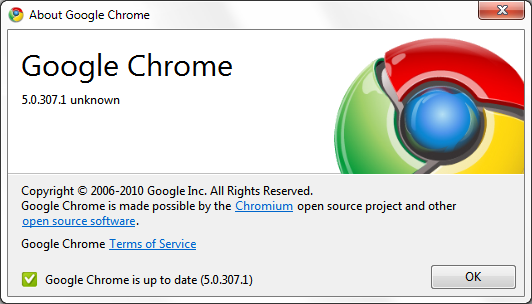 The developer channel of Google Chrome today pushed out a new major version again, Google Chrome 5. Just like the previous version update, there seems to be no major new features, yet Google has decided to update the major build number. You can globally disable any of the above elements or tweak them individually for every site using the exceptions. 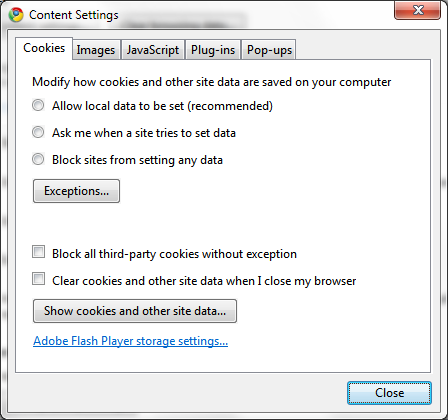 Surprisingly, the Exceptionsâ€¦ button doesnâ€™t work yet, along with the rather interesting link to configure Adobe Flash storage settings. Looks like Chrome team accidentally slipped out this build even before it was ready. Though this build is only available for the Developer Channel, you can still download this build because it does feature a number of bug fixes and improvements over the last one. I guess the features would be implemented as minor updates are released for this build. Ran 13 queries in 0.189 seconds.